Hyaluronic Acid as used in skin care and skin care products. Hyaluronic acid & skin care benefits. The latest news in the skin care industry indicates that there will be a huge number of new products on the shelves this year that contain HYALURONIC ACID (HA). 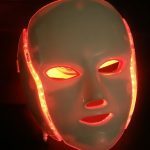 HA for skin care has been the buzz word for the last few years and the hype continues as do the benefits. For starters, HA maybe promoted as a moisturizer. However, this is not entirely true. It may be better described as a sponge or salt that attracts and holds water into the skin cells. With that in mind, it will promote less dry skin and help to minimize fine lines and wrinkles. That said, it will not eliminate them. When HA is contained in a filler product it simply aids the filler by helping your cells retain more water. Hyaluronic acid is found in the body naturally. As such, your body will not see it as a foreign substance. It will assist in keeping your skin hydrated. HA really isn’t a true acid. As a result, it often goes by the name hyaluronan. In the body it acts as a shock absorber and lubricating agent for our skin, joints, hair, nerves and eyes. Like many things as we age HA production in the body is reduced, as such our skin lacks what it needs to maintain hydration. Cosmetic fillers and HA creams supplement our natural hyaluronic acid and promotes the better hydration of skin cells. The first step is to see a professional for a skin assessment. Products containing HA may not be the right product for your skin type or condition. Should you so choose to try a product purchased on sale make sure you do a patch test. Try the product in a small area that will not show should you have a reaction. If a rash or any redness develops do not use the product. It is important to note here that a reaction to hyaluronic acid is rare however better to be sure especially if you choose a serum. HA used as a topical can draw water or moisture from the deep layers of your skin so be careful if you have a dry environment. This is because it will not be able to draw water from your surroundings and it will seek out a source of water deeper in your skin. The result is dryer skin. Fact: HA is available in many forms. 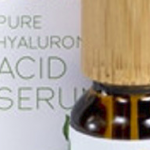 The strongest is a serum available over the counter and at most natural product stores. A good method to apply a serum is after a thorough cleaning and leaving the skin wet. We also recommend a makeup with SPF for protection, or a moisturizer. Exercise caution when using these concentrates. Make sure it does not dry out your skin. Even though it’s a natural product doesn’t mean it’s right for you. With all the products available with hyaluronic acid as an ingredient. It is best to use a blended product. 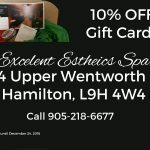 Excellent Esthetics is always committed to helping you with your skin. We look forward to assisting you in achieving your goals. Wrinkles, dry skin, rosacea and acne are just a few of the conditions we see on a daily basis. Come in for a free assessment of your skin or call today to set up an appointment.